Satisfying your need for speed on a budget doesn’t need to be frustrating. Sure, fast cars and sports cars tend to cost a bit more than two-tone jalopies, but with a little time and effort, you can find a reliable speedster that will leave other drivers in your dust. Whether you’re seeking out engine power, superior handling or a combination of the two, we have some recommendations. Decide what you need. Then be disciplined. If you’re all about horsepower, then you have to settle for a two-door coupe instead of packing five friends in your new ride. Beware modified cars. Unless you really know cars, and knew the previous owner, this could become a nightmare for you and your mechanic. Plus, a gearhead who likes to go fast probably put some wear and tear on that engine. Consider the weather. 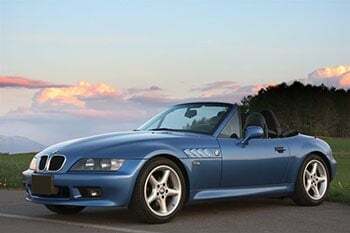 Everyone wants to take the top down and the RPM up in sports car on a dark dessert highway when it’s 85F and sunny. But few drivers are shopping for sports cars when the roads are snow covered. You’ll probably find a better deal. Incorporate cost of insurance and maintenance. Different makes and models come with different coverage and repair costs so do a little preliminary research on these expenses. With a 3.7 L 330 HP engine and Nissan’s Variable Valve Event Ad Lift (VVEL) system – Nissan’s first U.S. entry with the tandem features – the 6-cylinder G37 created some buzz at the 2007 New York International Auto Show. 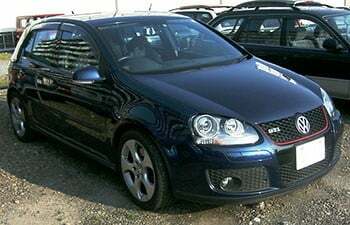 A compact entry-level luxury model redesigned for the 2008 model year, the price is right and the performance is on point. 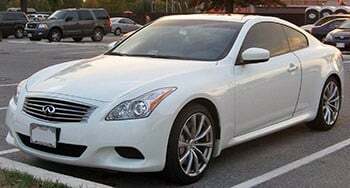 We quickly stumbled upon a 2008 Infiniti G37 Sport for $9,998 that had one owner, 146K miles and was priced about $3K below market value, according to its iseecars.com posting. This isn’t smoke and mirrors, although the G37 boasts plenty of both; it’s the real deal. OK, so maybe it’s easier than we thought to find fast cars at a fair price for under $10,000. So here is a pair under $6,000. 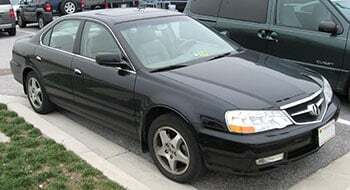 The first is the 2003 Acura TCL, which is powered by a 225 HP V6 engine. The coupe gets respectable gas mileage for a 12-year-old luxury car, too, giving drivers 17 city / 27 highway mpg. Expect high mileage, approaching 150K, but the Acura can handle it. The only problem is that the word is out on the 2003 Acura TCL, which gets a fair value dealer asking price of $5,520 on KBB.com. With the car already nearly old enough to get its learner’s permit, so to speak, this wide interest could make for a long, patient hunt. If you like the roadster but want to step it up a bit, the 2003 Porsche Boxster will likely be a lower mileage option with a bit more under the hood. 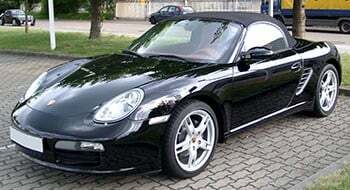 You can open up the Boxster’s 217 HP to go from 0 to 60 mph in less than seven seconds. Then top out at 155 mph – you know, in a safe, closed course environment. Wink, wink, nod, nod. The low end of the KBB.com fair market valuation for a dealer model with no added options and in good or better condition is $11,722. Seek a private seller or a model with a few more miles to get the price down below $10,000.